Barnsley have expressed their 'exceptional disappointment' after Cameron McGeehan was handed a three-game ban by the Football Association. The governing body upheld a charge of violent conduct against the Reds midfielder, who appealed the decision, and have served him with a suspension. McGeehan, who has been a big player for Barnsley over the last few months will now sit out important games in the promotion race against Accrington, Sunderland and Doncaster. The charge was for an incident in the 3-0 win over Southend last week, where McGeehan landed on defender Sam Hart after jumping to avoid a tackle. It was not picked up by the referee Kevin Johnson, but was subsequently spotted as the game was shown live on Sky Sports. The Reds keenly contested the charge with the FA, but their decision has been upheld. 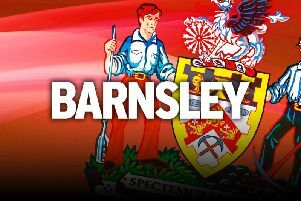 A statement read: “Barnsley FC are exceptionally disappointed in the decision to suspend McGeehan after the charge was denied and a clear explanation was given. 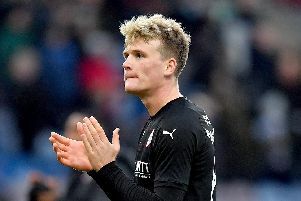 “The club offered the view that the video evidence shows the opposition player moving whilst on the floor, when McGeehan was unable to change the course of his direction in mid-air. “There was no complaint from the opposition players, staff or the officials at the time despite it being in front of both dugouts. McGeehan's absence comes at a bad time for the Reds as their quest for an instant return to the Championship enters a crucial week. He joins Jacob Brown under suspension, following Brown's red card at Roots Hall, while Kieffer Moore will not play again this season due to the after-effects of a head injury he suffered at Gillingham last month. Accrington are the visitors to Oakwell on Saturday, with assistant head coach Dale Tonge expecting a tough game.